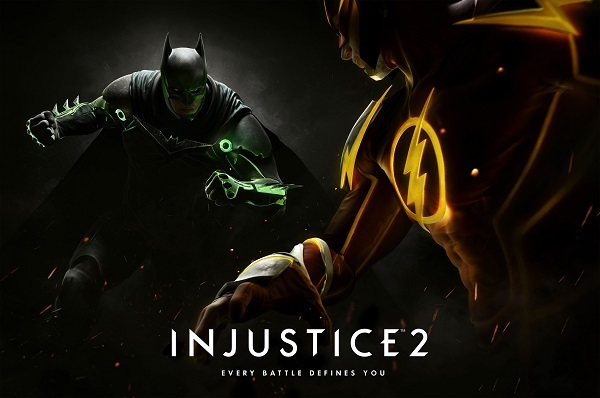 With last week’s announcement of Injustice 2, sequel to NetherRealm Studios’ 2013 fighting game Injustice: Gods Among Us, coming to the PlayStation 4 next year, speculation has turned to what characters may yet emerge for the latest installment. 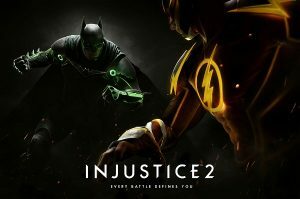 Thus far, Supergirl, Red Lantern Atrocitus, and Gorilla Grodd have been confirmed (Black Manta was shown in a gameplay trailer but is likely a stage hazard or transitional character) while Ed Boon, Creative Director of NetherRealm Studios, had posted a poll on his Twitter inquiring whom among Blue Beetle, Captain Cold, and Swamp Thing fans would want to see appear (with Beetle in first and Cold in last, though it’s possible all three may in fact be in the new game). Previously, the title had featured Aquaman, Ares, Bane, Batgirl, Batman, Black Adam, Catwoman, Cyborg, Deathstroke, Doomsday, Flash, Green Arrow, Green Lantern, Harley Quinn, Hawkgirl, Joker, Killer Frost, Lex Luthor, Lobo, Martian Manhunter, Nightwing, Raven, Shazam, Sinestro, Solomon Grundy, Superman, Wonder Woman, Zatanna, and Zod (with Arkham Knight, Cassandra Cain, Darkseid, Reverse-Flash, and Static in the mobile game and skins for Terry McGinnis Batman, Thomas Wayne Batman, Cyborg Superman, Jay Garrick Flash, John Stewart Green Lantern, Kendra Saunders Hawkgirl, and Damian Wayne Nightwing) and it’s likely a fair share of these characters will re-emerge. Lets then take a look at what characters may yet appear in the upcoming sequel. Obsessed with becoming immortal, scientist Anthony Ivo created a powerful android named Amazo to aid in his research. Draining the energy of the Justice League, Ivo managed to impart the various powers of the heroic team in his robot as well as replicate their various tools (such as Wonder Woman’s Golden Lasso of Truth and Green Lantern’s Power Ring). 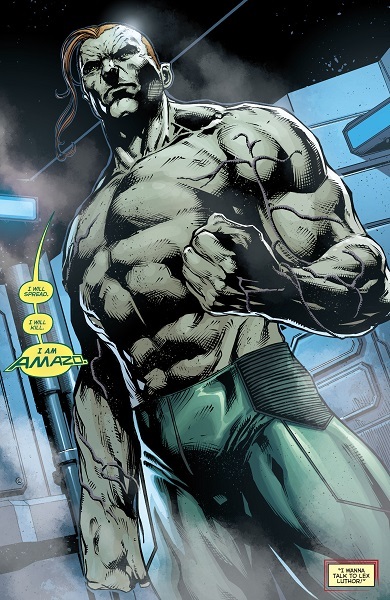 Virtually unstoppable, the League nonetheless developed a string of victories against the incredible Amazo often by outsmarting what is a seemingly poorly programmed artificial intellect. Repeatedly, Ivo sought to develop more Amazo models that incorporate various new elements such as replicating new abilities of those nearby, merging it with fellow android Red Tornado, and creating a bio-mechanical version in the so-called “Kid Amazo.” The theme of Injustice 2 seems to heavily revolve around the inclusion of technology which makes Amazo a likely candidate as a robot who consistently emerges to combat Earth’s heroes. As part of Superman’s war to bring peace to Earth through force, Mister Mxyzptlk merged with the Spirit of Vengeance the Spectre to aid him against magical adversaries. Part of this included murdering Jason Blood, an ancient human made seemingly immortal by merging with the demon Etrigan. 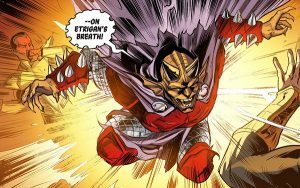 However, Batman would spin that loss into a new strength by himself striking a bargain with Etrigan that nearly defeated Superman. While the details of that arrangement remain unknown, with Trigon taken out of the picture thanks to the machinations of John Constantine and Swamp Thing trapped in Hell, several story elements are in place to arrange the Demon’s presence in Injustice 2. Aligning with Batman against Superman’s regime, Captain Atom was ordered by the US government to eliminate the Man of Steel should the opportunity present itself. When Atom had the would-be dictator beaten, Wonder Woman emerged and breached his containment suit. 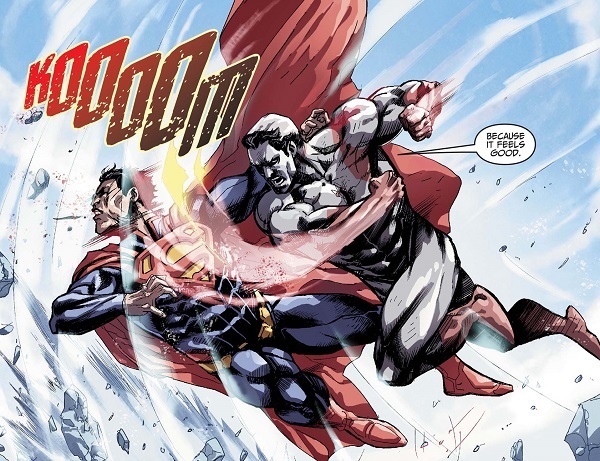 Willing to sacrifice himself for his country, Atom took Superman into the upper atmosphere reaching critical mass. Superman nearly died in this heroic effort but managed to survive. However, considering the source material, Atom has seen his suit breached many times and subsequently would return from beyond the grave. For Injustice 2, he may yet return again. 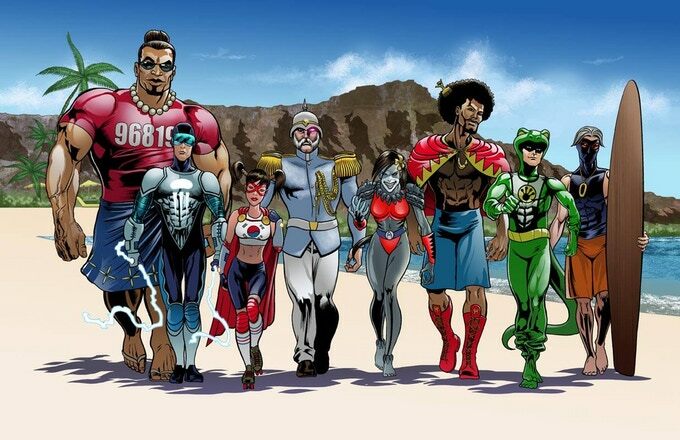 Comic Book Store Hosts Hero Initiative Membership Party!